What on Earth is a CockaPoodleMoo? It's a "three-legged" race series, produced by Capital Road Race Management, full of fun and challenge and humor and animals and BLING! 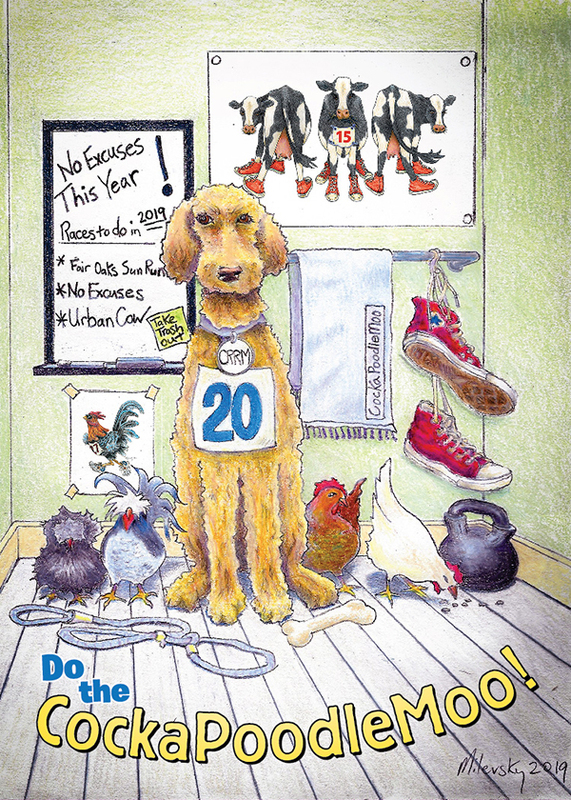 Fair Oaks Sun Run + No Excuses 5K + Urban Cow Half Marathon & 5K. Join us for all of these great races in 2019 and earn the CockaPoodleMoo series medal! Important Notes: This registration page allows you to register for all three races at the same time, however you may register for each race individually and still be eligible for the series. Kids' Fun Runs do not count as participation in the CockaPoodleMoo.